Want to achieve a higher-level of success and happiness, despite the challenges you faced during narcissistic abuse? Let’s face it, life is tough. It’s ever-changing, fast-paced and can leave you feeling out of sorts. If left unchecked, it can quickly drag you down - and if we're being honest, that is especially true for survivors of narcissistic abuse. You have total control of how life affects you. When you focus on becoming the best you possible, you take the power away from external sources of negativity and stress. You choose if or how something affects your life. You become more resilient, more successful and a whole lot happier. Becoming a better version of yourself costs nothing. It doesn’t take a lot of time or energy. It’s a process that involves making small, daily choices that combined, lead to your best life. If you want to challenge yourself to grow in new and exciting ways, sign up now to receive your guide. 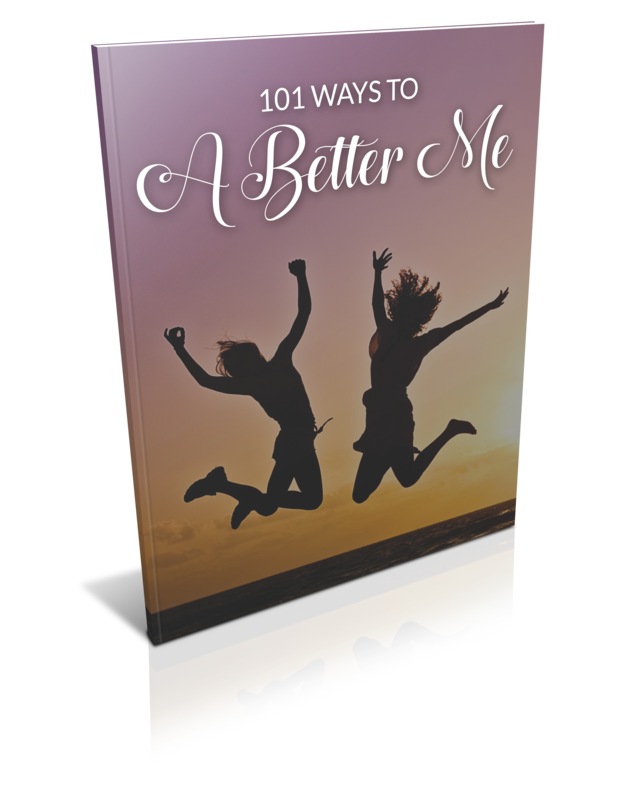 A 13-page report with 101 ideas for becoming a better you. If you are ready to transform your life, then get signed up right now. Just enter your first name and email address above to get your guide. It's absolutely free.